The wallop of winter weather this weekend resulted in more than 9,000 calls to ICBC. This is a sizeable increase over the amount of calls received this time last year, when the number of calls topped out at just over 5,000. As for the total from Friday, February 3, when snow began falling, to Sunday, February 5, over 9,000 calls have been received. Corea noted that not every call will necessarily result in a claim. Slow down. Posted speed limits are for ideal conditions only. Adjust your driving in winter conditions. 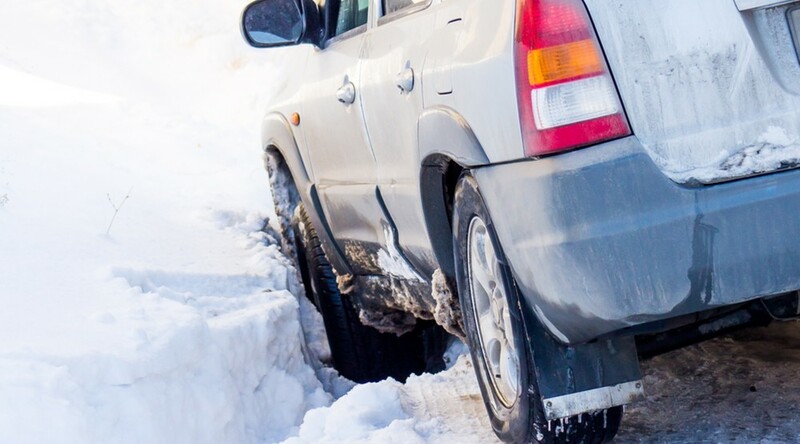 Allow yourself at least twice the normal braking distance on snow-covered or slushy roads. Headlights on. Use your headlights in poor weather and reduced visibility – not only at night – to help you see ahead and be seen by other drivers. Watch for other road users. Look twice for pedestrians crossing the road particularly when visibility is poor. Prevent a skid. Black ice is commonly found on roads with shaded areas, bridges, overpasses and intersections where car exhaust and packed snow freeze quickly. If you drive over black ice and start to skid, ease off the accelerator, and look and steer smoothly in the direction you want to go. Don’t brake—this will make the situation worse. You may need to repeat this manoeuvre several times until you regain control. Check your vehicle. Prepare your vehicle for winter driving. Make sure your tires are properly inflated. Check the condition of your windshield wiper blades and replace them if they’re worn out. Top up wiper fluid for clearer visibility and carry extra washer fluid in your vehicle. Fill up your gas tank. Pack an emergency kit and make sure it includes a flashlight and extra batteries. Plan ahead. Check road and weather conditions on drivebc.ca before heading out. If you don’t feel confident about driving in winter conditions, staying off the road can be a less stressful and safer option. Instead of driving, you may want to consider taking public transit if available, carpooling with a friend who’s a confident driver, taking a taxi or working from home.